Students eat at Sargent Dining Hall. Northwestern is embarking on a Request for Proposal for new dining providers. 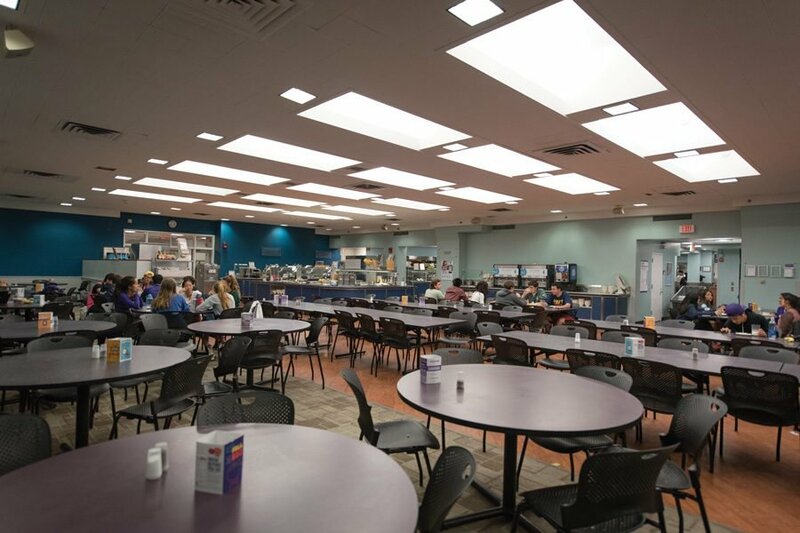 Northwestern will explore options for a new dining services provider as the University approaches the 2018 expiration date of its current contracts with Sodexo. “We are an embarking on a Request for Proposal (RFP) for a new food provider,” Paul Riel, assistant vice president for residential and dining services, told The Daily. Sodexo, which has been a campus partner of NU for at least 20 years, has three separate contracts with the University that all expire next year: one with Student Affairs for Evanston campus food outlets, one with the athletic department and one with the Chicago campus. Aramark, another food provider corporation, is also involved on the Evanston campus. The RFP process will seek feedback from various branches of the University, such as the Kellogg School of Management, the Feinberg School of Medicine and the Pritzker School of Law, as well as Northwestern Dining and the athletic department, Riel said. Jim Konrad, the University’s executive director of procurement and payment services, deferred comment regarding the RFP process until a future time. In January 2015, an advisory board composed of officials and students convened to begin discussing a master dining plan. Chris Harlow, then Associated Student Government’s vice president for student life, said at the time that Envision Strategies, a consulting firm the board hired to help craft the plan, would look at ways to “better negotiate” contracts with providers like Sodexo and Aramark. And in January 2016, Ken Field, the dining director within Student Affairs, told The Daily that the University hoped to combine the three separate Sodexo contracts into one when they expire in 2018. Sodexo’s time as NU’s dining provider has included several controversies. More than 1,000 people signed a petition in fall 2015 that alleged disrespectful behavior from Sodexo supervisors toward NU Dining staff, and dining staff marched on Sheridan Road in winter 2016 to call for higher wages and better working conditions.